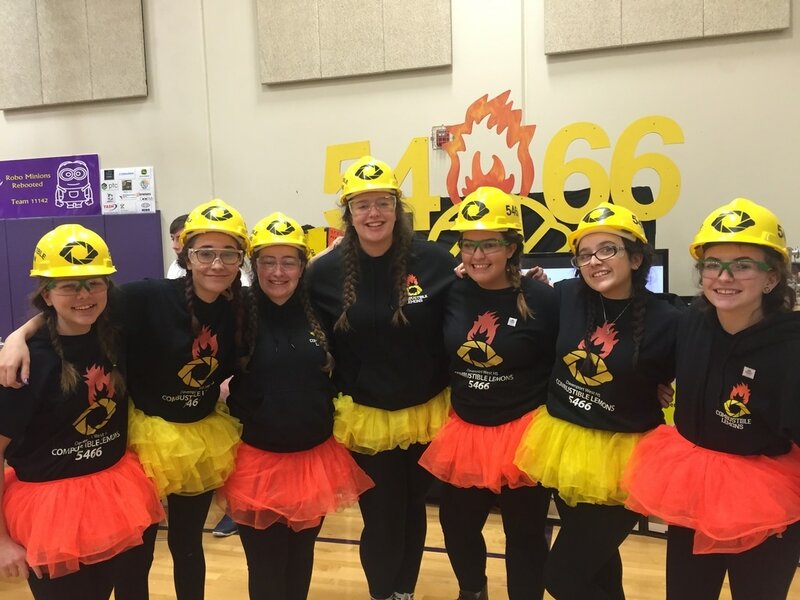 During the 2016-17 season, the Combustible Lemons were able to compete in seven major competitions: Emmert/Wyrick League Championship, Super Qualifier, Iowa State Championship, Nebraska State Championship, North Super Regionals, and St. Louis Worlds Competition. They were able to go all the way to the Worlds Competition, where they ended up winning the Inspire award and becoming the 2016-17 World Champions. 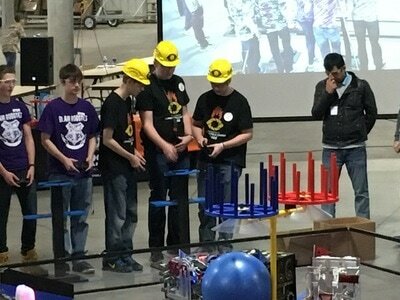 ​The Combustible Lemons had the opportunity to compete in the Nebraska State Championship competition in Lincoln, Nebraska against 22 other teams from Nebraska and other surrounding states. 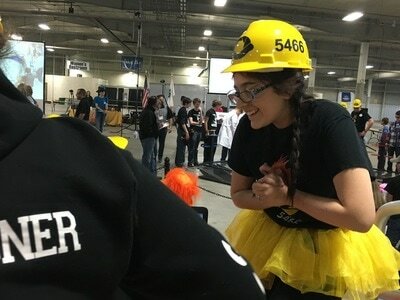 They came in fifth place during the six matches that each team completed, finishing with five wins and one loss, and during the alliance selection, were the 4th place teams' first selection.. The Lemons were able to help advance their alliance to the semi finals and also became the recipients of the 3rd place PTC Design Award and 2nd place Connect Award. The Combustible Lemons' drive team just before TeleOp began, shown here with their alliance partner, Blair Robotics. 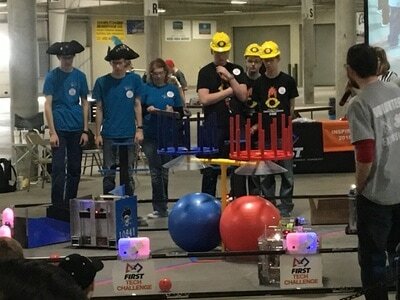 The Combustible Lemons' drive team during autonomous, shown here with alliance partner The Pirates of the Grand Island. 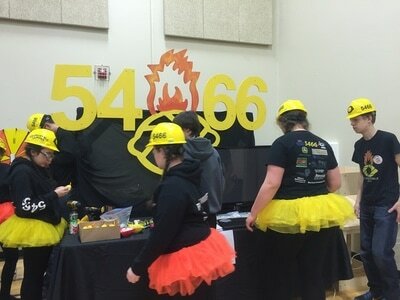 ​Of the 29 teams competing during this League Championship, the Combustible Lemons were able to earn 9th place during the six matches done that day, along with all previous matches from the League Meets. They were chosen by the 3rd place team, UBett, as their alliance partner. 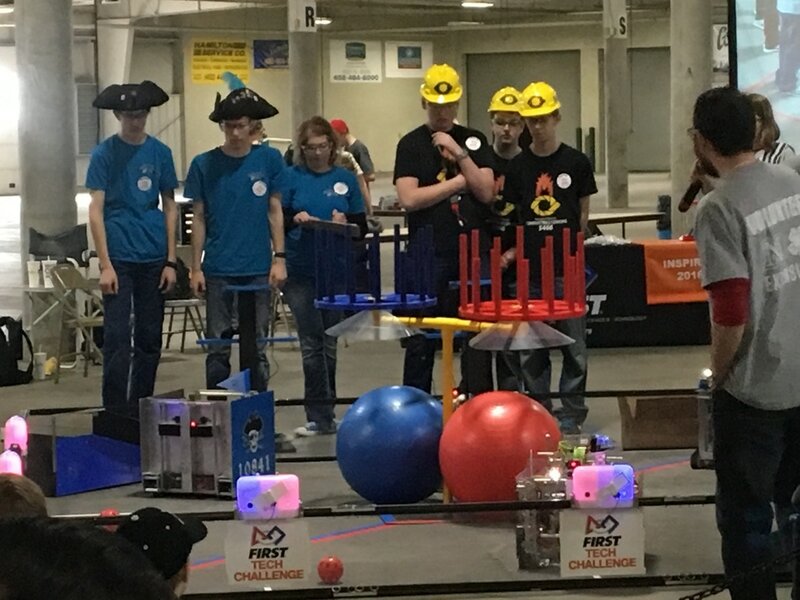 Making it through the semi-finals beating out team 8588 the Finger Puppet Mafia and 11142 Robominions, the Lemons were off to the Finals against the 4th place team, the Belleview Block Heads and their alliance selection, our sister team, 10547 the Mortal Combots. 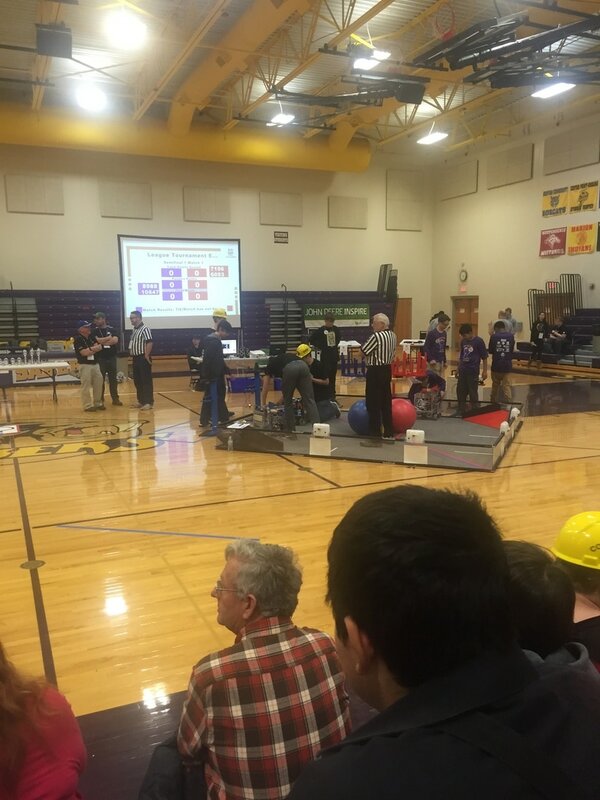 During the 1st Finals match, the two alliances both scored 80 points for a tie. During the next two matches, the Combustible Lemons won a match and lost a match, and everything was down to the final match. Though the UBett/Lemons alliance lost 2-1 during the finals (which allowed the Mortal Combots to move on), everything turned out okay for West Robotics. The Combustible Lemons won the 1st place Inspire Award, allowing them to move on to Super Qualifiers, two weeks later. Team Members putting the finishing touches on the pit at Central Dewitt High School for the League Championship. From left, Carolyn, Alexa, Kailey, Jenna, Cody, Alyssa, and Kenna just before the first match began. The drive team of Mason, Noah, and Brandon Seamer setting up the robot for our second match of the day. After competing in 6 matches, the Combustible Lemons finished in 3rd place and were an alliance captain during the alliance selection. With the assistance of their two picks, the Combustible Lemons advanced from the semi-finals to the finals and were up against the 4th place team, during this match. Though the Lemons did not come out with a victory this allowed them to advance to the Iowa State Championship. During the award ceremony, the Combustible Lemons were a finalist for the Control award and were lucky enough to win the coveted first place Inspire award. During the Iowa State Championships, the Combustible Lemons worked hard and were a first choice by an alliance captain that went to the finals of their division. During the award ceremony, the Combustible Lemons were nominated for Think (losing to their sister team, the Mortal Combots) and won 2nd place Inspire. This allowed them to advance to North Super Regionals once again. At North Super Regionals, the Combustible Lemons were really able to showcase their outreach and were able to secure the Motivate award. This allowed them to qualify for the St. Louis World Championship. Previous to this competition, their sister FRC team, Disruptive Innovation won the Rookie All-Star Award at the Iowa State Championship and qualified for the St. Louis World Championship as well. Unfortunately, the Mortal Combots (the third West Robotics team) was unable to qualify for the World Championship. ​ time after winning inspire, visit the "st. louis world championship" page.